Once a judge or jury has rendered a decision in a criminal or civil case, the party losing that decision generally has the right to have that decision reviewed by a higher court — or have the ruling appealed. Appellate law differs from trial practice in that the appellate record is limited to material already presented in the lower court. Because there is seldom new evidence allowed, there is no discovery phase prior to trial. 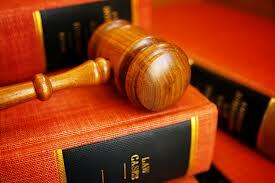 Appeals are heard by a panel of judges, not a jury, and their decision is based on evidence at the trial court, i.e. the transcript and exhibits from the trial only. During a lower-court trial or hearing, dozens or hundreds of decisions are made and if any of those is considered outside the scope of the law, an appeal may be accepted by the appeals court. Some of those decisions include a judge’s final decision on motions or objections at the end of the trial. However, some preliminary findings or actions during the trial may be appealable if there are plain or fundamental errors by the trial court, questions of subject-matter jurisdiction of the trial court, or constitutional questions. The United States Constitution and state constitutions guarantees appeals as a check on the power of judges and juries, granting the higher court the authority to overturn what it considers erroneous or unconstitutional judgments or judgments it otherwise deems inappropriate. The right to appeal extends from individuals to government agencies, corporations and other business entities, as well. If you think you have the right to appeal an unfavorable judgement, please contact our office. Turner Law Offices, P.C., is well versed in turning what appeared to be a loss for a defendant or civil litigant into a victory later. Managing Partner Robert Turner has been licensed in the Tennessee Supreme Court since 1991 and the United State Supreme Court since 1996.